Safe start-up system. The motor will not start no matter which position the throttle stick is when the battery is connected. Automatic power cut-off. If the motor suddenly stops rotating or the radio signal is lost for more than 3 seconds, the power will automatically be cut off. 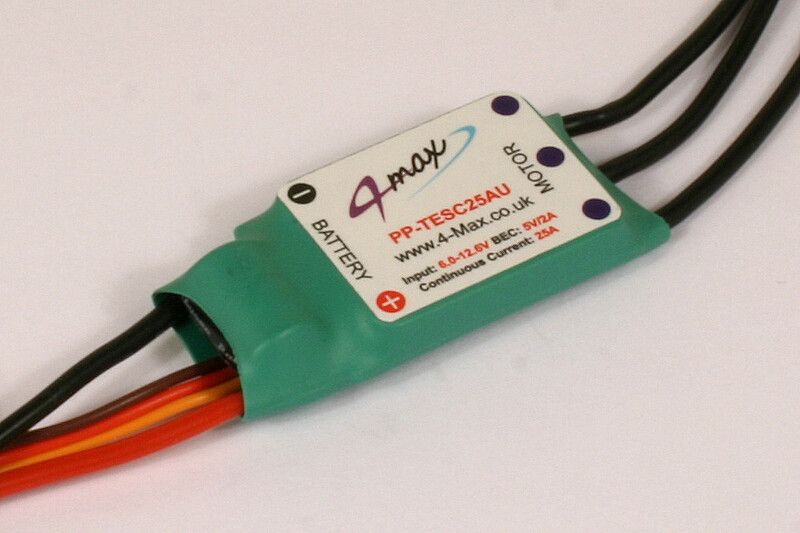 BEC provides power to receiver and servos (for ESC with BEC). High rate switching Pulse Width Modulation (PWM): 8KHZ. Over-heat protection. The power will be cut-off as it is heated up to 110°C. Low-voltage cut-off. 3.0V/2.7V (selectable) for Li-ion/Li-polymer battery; or 0.9V/0.7V (selectable) for Ni-CD/Ni-MH battery. Timing mode; Timing low mode--- providing highest efficiency suitable for motors with 2, 4, 6 poles; Timing high mode---providing highest speed & is suitable for motors with 6 or more poles and outrunner motors. 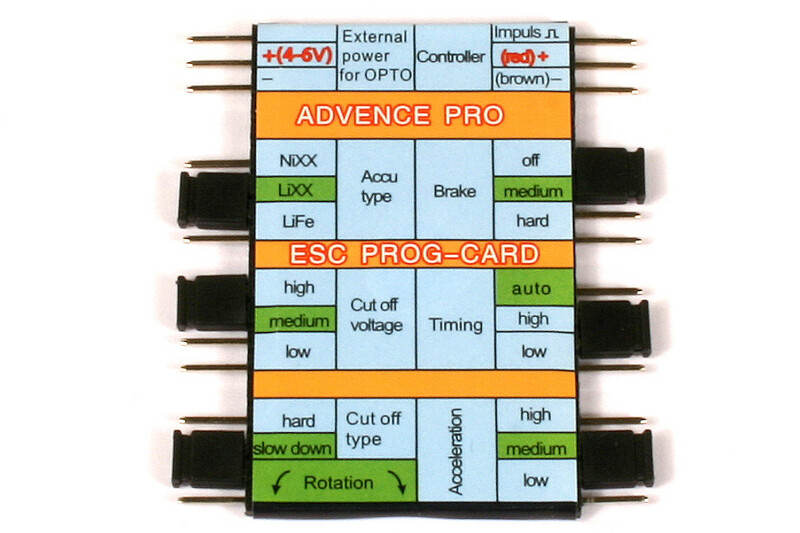 Programming is very easy with the programming card.